This is a project for preserving the bounty of summer eggplant. 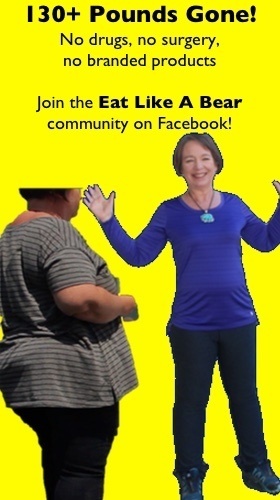 You will invest some time with this, but will you be delighted you did in the months to come. Simply pull them out of the freezer, smother them in a good marinara sauce, and bake them at 425 degrees while putting together a green salad. 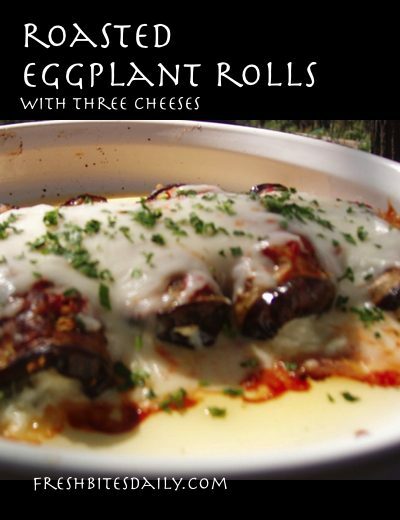 Check out the video on roasted eggplant rolls at YouTube or watch it below. Plan on three rolls per person per meal, although it is EASY to eat four. Two cups grated mozzarella cheese, plus one-half cup for the top. Slice three large eggplant in rounds. Marinate eggplant in safflower or (other high heat oil) and garlic for several hours, tossing it several times. Place the eggplant in a single layer on a cookie sheet and place in a 375 degree oven for 45 minutes. Allow to cool for easy handling. Mix the cheeses and basil. Place a generous tablespoon of cheese mixture on one half of the eggplant round. Roll as tightly as you can without squeezing out the cheese. To serve, place the rolls in a baking dish and cover with a marinara sauce of your choice. Heat at 425 until the sauce is bubbling and the cheese is melted. Garnish with some fresh basil or parsley when ready to serve. Add some well-cooked, well seasoned ground beef to the cheese mixture. Substitute a well-cooked, well seasoned ground beef for the cheese entirely. This will not hold together as well as the cheese, but is quite delicious. 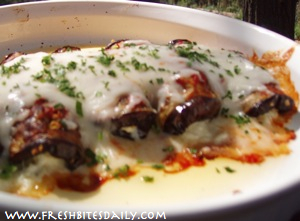 1 Comment on "The most delicious way you will ever eat eggplant and a great freezer food to boot"
These look delicious. I need more make ahead and freeze meals. Thank you!